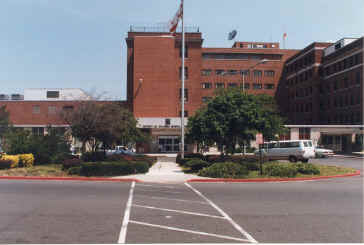 Mayor Adrian M. Fenty and DC Department of Youth Rehabilitation Services (DYRS) Director Vincent Schiraldi today announced the implementation of a number of systemic reforms to improve care of youth under the department's supervision, including the initiation of several model programs and reforms in the department's case management services. After three years as a cabinet-level agency, Director Schiraldi also reviewed DYRS' accomplishments. "As the former chair of the Human Services Committee and now as Mayor, I am well aware of the change that was needed in this agency, and I am glad to see that we are on our way to becoming a model for other cities to emulate," said Mayor Fenty. "Changing a culture is a difficult task and we still have a long way to go, but we are on the right path and I'm committed to seeing these reforms through." Massive training of DYRS Staff in Principles of Positive Youth Development and best practices in juvenile justice programming, and holding staff accountable for subpar performance. "These are important steps that are part of our larger reform effort to provide appropriate services, supports and supervision to youth under our care, Director Schiraldi said. "I appreciate the continued support of the Mayor and his unwavering leadership as we move forward. His sense of urgency is exactly what's needed to help us break down the bureaucratic barriers that had stymied reform efforts of years gone by. We are nowhere near satisfied with the change that has taken place, or the pace of the reforms, but we firmly believe we are on track to becoming a model juvenile justice agency." Schiraldi also unveiled a raft of case management reforms being implemented including the implementation of a Structured Decision Making risk assessment tool to help case managers assess the relative risk of youth on their caseloads; the careful selection of, and heightened attention to, those DYRS youth most at-risk of re-offense; continued retraining of all case management staff to focus on enhancing the strengths of DYRS youth; maintaining reduced caseloads of 25 youth per case manager down from 35-40 per case manager a year ago; and the establishment in November 2007 of case management protocols against which case managers will be evaluated (including the use of a computerized system to monitor case managers' contacts with youth). Schiraldi also announced that all cases of DYRS youth will be carefully audited going back six months with appropriate discipline applied to any DYRS staff who have failed to adequately supervise DYRS youth. "While the majority of our case managers are hard working and care deeply about our youth, for too long there had been insufficient guidance to ensure consistent services and supervision, and inadequate accountability when lapses occurred," Schiraldi noted. Revised the Case Management Manual to increase accountability and level of supervision and engagement with committed youth. Regionally deploying the case management units into Wards 8, 7, and 5, which account for 70% of DYRS committed youth. (Ward 8 by 3/1, Ward 7 by 7/08, and Ward 5 by 10/08).